The advertising giant, Ogilvy & Mather, operates in 450 offices in 120 countries worldwide. They are one of the largest forces in advertising, shaping many of the brands we know today. 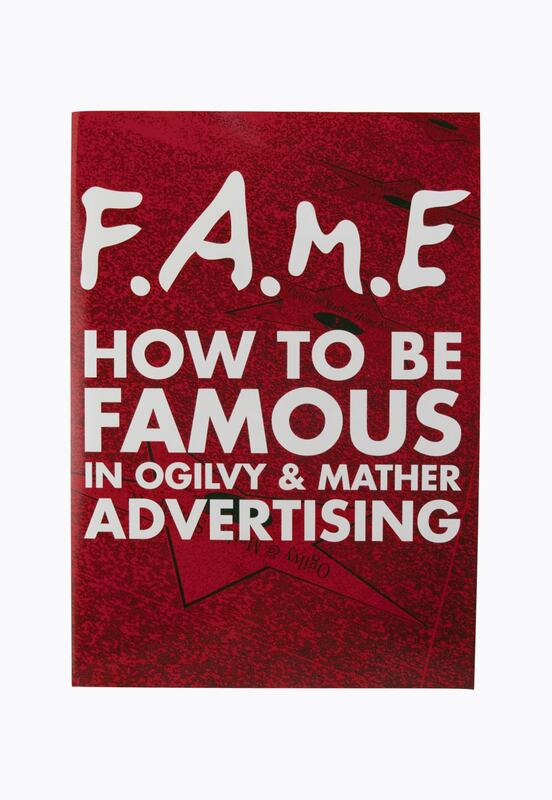 Ogilvy & Mather was about to announce the new direction of their advertising agenda. Playing on the definition of the word FAME, they created an acronym to outline theirinitiative: Fans, Awareness, Movement and Effectiveness. They needed a creative medium to communicate and promote this new program to high level executives at an upcoming summit in Shanghai. The team behind the initiative knew they only had one opportunity to make a first impression. Ogilvy & Mather partnered with Americhip to incorporate their patented Video in Print® technology to deliver this message. The result was a sleek video brochure embedded with a 4.3” screen. The agency's success is rooted in their creativity and innovation. Staying true to form, the video brochure captured their inventive spirit. 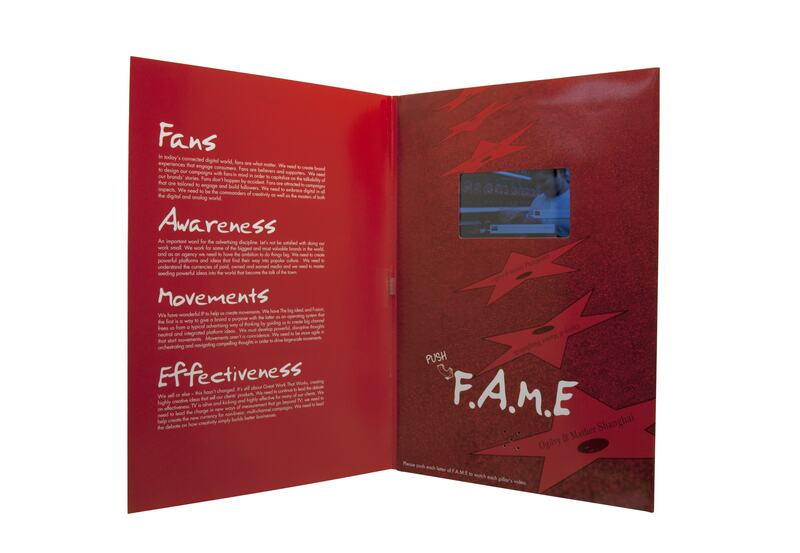 Upon opening the video brochure, executives were invited to press four chapter buttons spelling out the word FAME. The video brochure instantly generated excitement and motivated executives to promote the new advertising agenda.